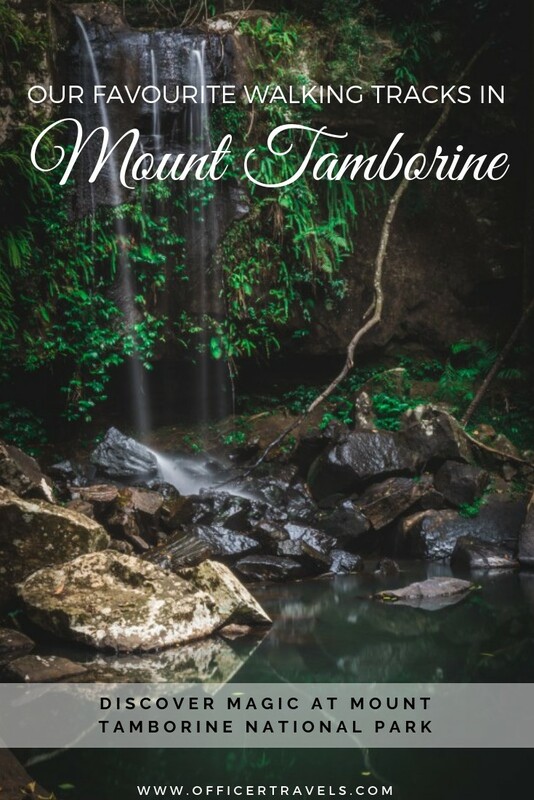 Mount Tamborine National Park is a place where fairytales come true. Giants walk amongst the huge strangler figs, witches keep a watchful eye on cedar creek falls and fairies cause mischief in the jungle foliage. 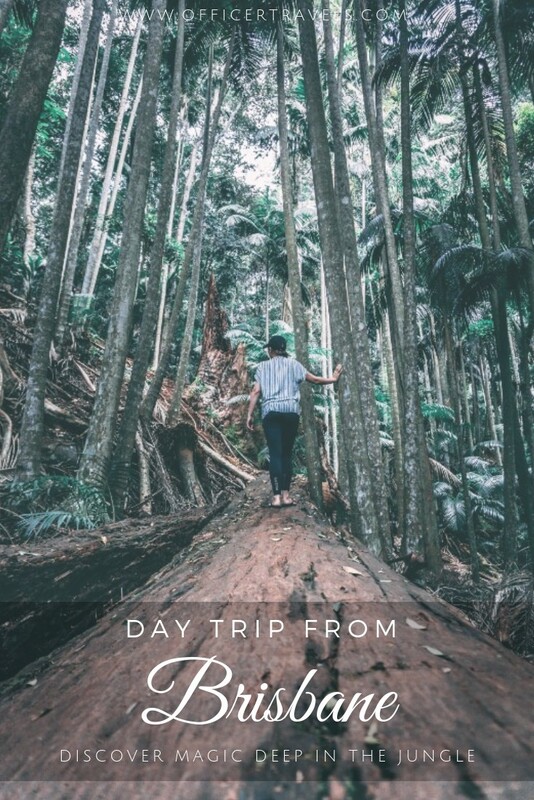 Or at least, that’s what it felt like when we spent a few days exploring Mount Tamborine. I knew Queensland would feel like a whole new world but I wasn’t prepared for the tropical dreamland that awaited us across the border. 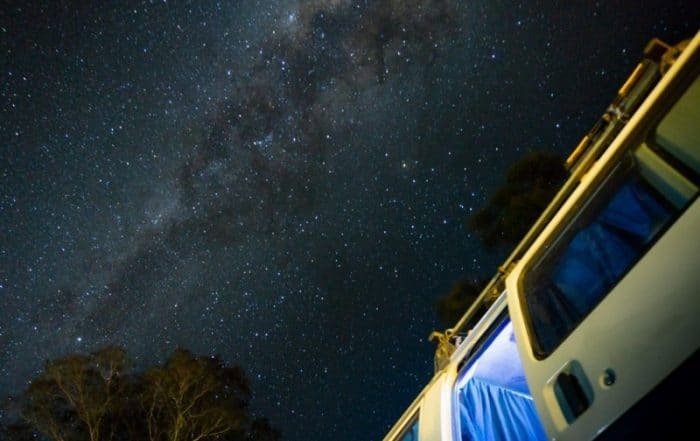 This magical National park is just a short 45minute drive inland from the Gold Coast or an hour from Brisbane, making it a perfect stop to add to your East Coast road trip. 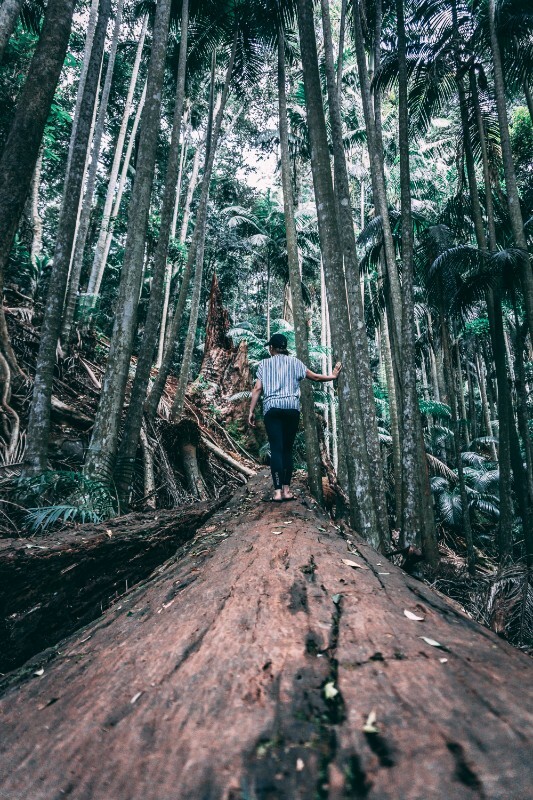 With endless walking tracks in mount Tamborine and unique little villages, there’s plenty of things to do in Mount Tamborine National Park, it’s just knowing where to start that’s the hard part! 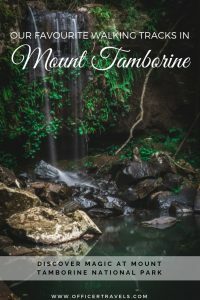 That’s why we’ve put together this guide to walking tracks in Mount Tamborine, the great, the pretty and the magical. 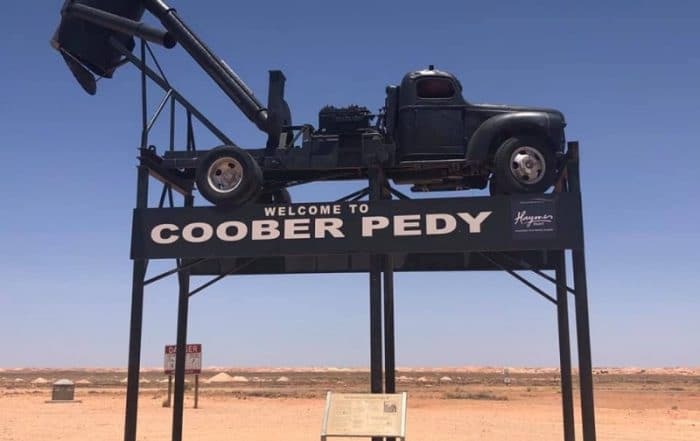 Hopefully, it’ll help you make the most of your trip and realise that there is so much more to this beautiful place that the cedar creek falls walk and Curtis falls. 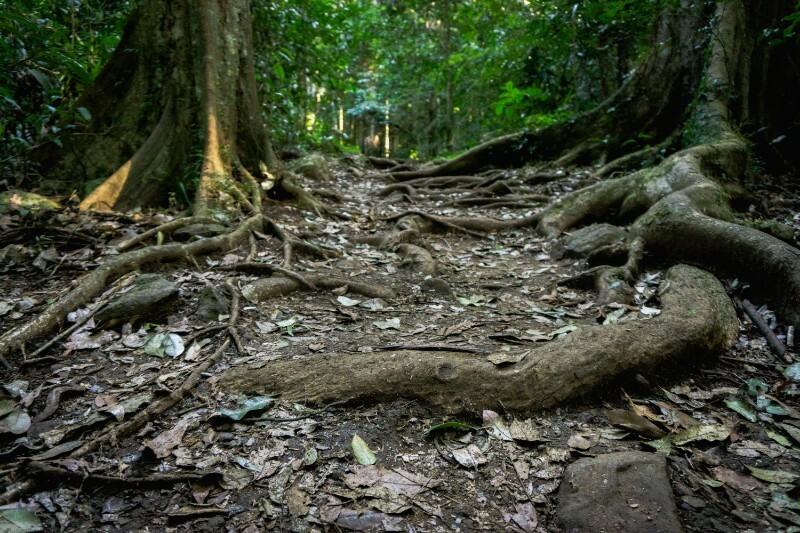 All of the walking tracks in Mount Tamborine are under 2 hours long (return), but they vary in grade. Grade 1 means it’s a fairly flat track, wheelchair/pushchair accessible with no steps. Grade 3 means is suitable for most fitness levels but you might come across some steep sections or steps. Grade 4 is the highest grading meaning the tracks are fairly difficult, expect steep rough tracks, rock hopping and limited track signs. Mount Tamborine National park is also split into 6 sections, each with 2 – 3 of their own unique walking tracks; Joalah, Witches Falls, The Knoll, MacDonald, Cedar Creek Falls and Palm Grove. 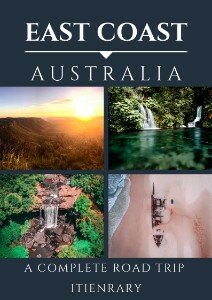 1.15km return, 45 minute walk time, Grade 1 – Waterfall platform, Grade 3 – Rock pools, toilets on site. Ok let’s start with the one that’s most popular with the locals and tourists, the Cedar Creek falls walk. The Cedar Creek falls walk is located, none-surprisingly, in the cedar creek section of Mount Tamborine National Park and a 10-minute drive past the town of North Tamborine. Arriving at the start of the Cedar Creek falls walk, the first thing we noticed was how many cars were here. It was the middle of the week, off-peak for tourists and slightly overcast, we didn’t expect there to be many people about. Especially after all the rain recently, we weren’t 100% if there was still more to come. As we walked through the picnic area towards the track it became clear it wasn’t all tourists here. Retirees were enjoying the sunshine with a picnic straight from the esky and young families played games in the clearing. Before we even stepped into the jungle, we knew Tamborine National Park was going to be special. Imagine crystal clear rock pools connected by flowing water falls and you have Cedar Creek falls. Despite the heavy rain we’d had over the last week, Cedar Creek falls was still just a trickle but that didn’t make it any less beautiful. Standing on the wooden platform it’s easy to imagine how it would look at the height of ‘rainy season’. The peace was soon shattered by the echo of children laughing drifting from downstream. My only guess was that we were close to the rock pools. The track leading down to the rock pools is a bit rough in places but I made it down in flip-flops so it wasn’t too bad. The water here is ice-cold and fresh, perfect for a dip or to just relax next to. 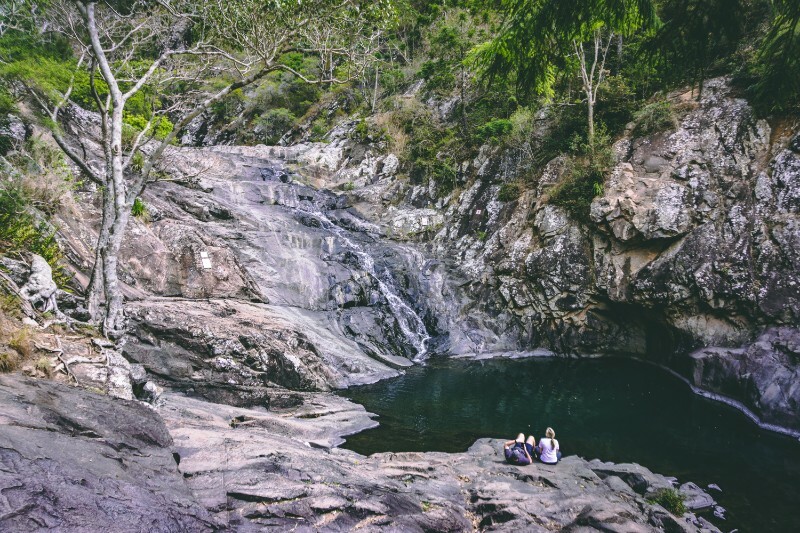 Cedar Creek falls walk showcases 6 beautiful rock pools but only 3 are safe enough for public access, we found a nice corner by the bottom one which look down over the rest of the creek. If you’re lucky, you might spot the long neck turtles drifting in the restricted pools. It can be a bit noisy here as the day draws to a close, the local children seem to have made this their summer hang out so if you’re wanting solitude amongst the jungle, this isn’t the place to come. However, it was nice to see children actually outside enjoying nature and not stuck inside on their devices… and if that isn’t me sounded like my dad then I don’t know what is haha. There’s plenty of shade around the rock pools but no drinking water – bring plenty if you plan on being here a while. Bring your swimmers – even if you think you don’t want a swim, you’ll change your mind once you see the water. 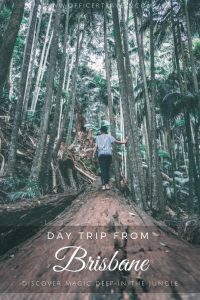 The Cedar Creek falls walk was the first walk we did during our few days at Mount Tamborine National Park because it was the most recommended and the most signposted, while it didn’t disappoint it wasn’t our favourite. 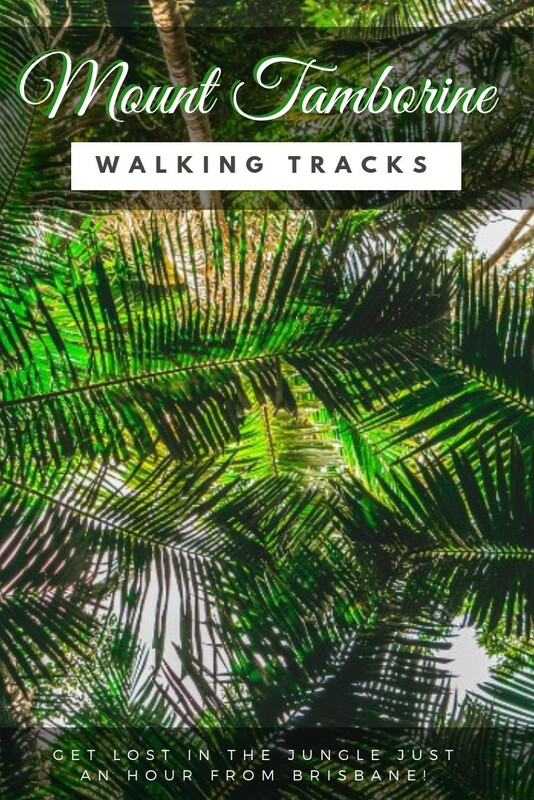 walking tracks in Mount Tamborine National Park. 3.6km return, 1.5 hours walking time, waterfall track – grade 3, lower creek circuit – grade 4. Toilets in the car park. After spending the morning doing the cedar creek falls walk we decided to head over to the Joalah section. There are 2 walking tracks here that makeup one big loop or you can just do the short walk to the Curtis falls lookout which will only take you 30minutes (return). There are two access points to the Curtis falls/lower creek circuit, the main carpark and entrance are just off Depsang Drive or you can use the Eagle Heights Road access track which will add 10 minutes to your walk time. The official walk time is 1.5 hours, but this is without any stops. It actually took us 3 hours because we kept finding little corners to explore and there are rumours that Platypus live in the lower creek, plus, what’s the rush? Did you know you can see glow worms in Mount Tamborine National Park too? The track to Curtis Falls winds down into the jungle valley, the temperature noticeably drops as you walk deeper under the jungle canopy, it’s a refreshing break from the humidity of a Queensland spring and alongside the huge strangler fig trees, it makes you feel like you’re walking down into some sort of fairy tale. We knew the waterfall itself wouldn’t be huge, we’d had plenty of rain but judging by Cedar Creek it wasn’t enough for the falls in the area. Maybe after a few more days, the water from further upstream would have had chance to make it’s way to the creek. Either way, it was still worth the short walk. Looking into the emerald green/blue water of the pool below you just knew that somewhere along the rocky water edge there would be a Platypus hiding, or maybe even a mythical creature of some kind. A colony of fairies perhaps? The pool below Curtis Falls is restricted, swimming here is prohibited to preserve the glow worms who live in the walls of the falls. It means nature is preserved a little and we were able to enjoy the peacefulness of Curtis Falls without the splashing of excited children. At least it was peaceful until the coach load to tourists joined us at Curtis Falls and that was our cue to leave. 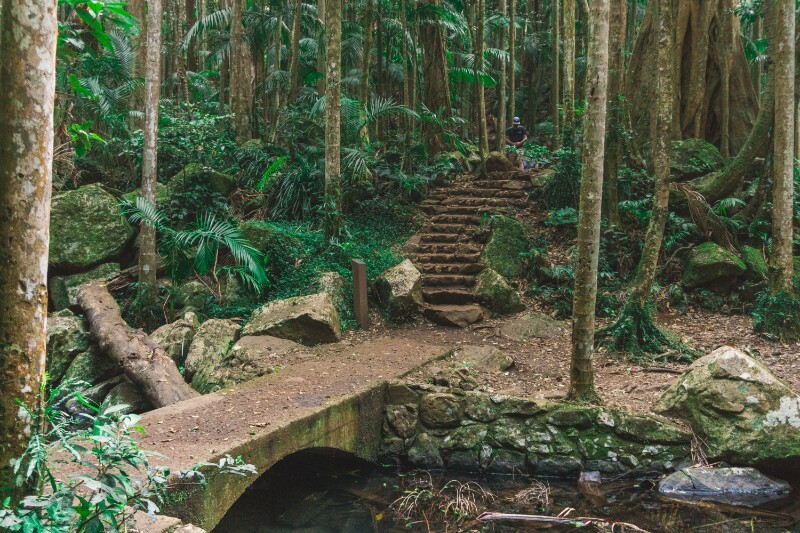 Once you’ve walked back up the track from Curtis Falls its time to take a walk down one of our favourite walking tracks in Mount Tamborine National Park – the lower circuit. This section of the track takes about an hour, but there’s plenty to stop and explore along the way so definitely leave time for that! The looping track twists through the strangler figs and in places it almost disappears completely amongst the leaf litter, adding to the creek tracks magical charm. We climbed over roots and rock-hopped our way across the creek, reliving childhood days gone by. 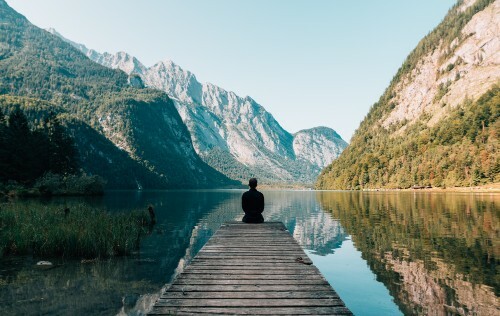 Have you ever been so surrounded by nature, so engulfed by it that you forgot about everything? That’s what it felt like exploring the lower circuit creek. That’s how we ended up spending three whole hours on a track that was only supposed to be one. It was like being a child again, exploring nearby forests but without making the dens. 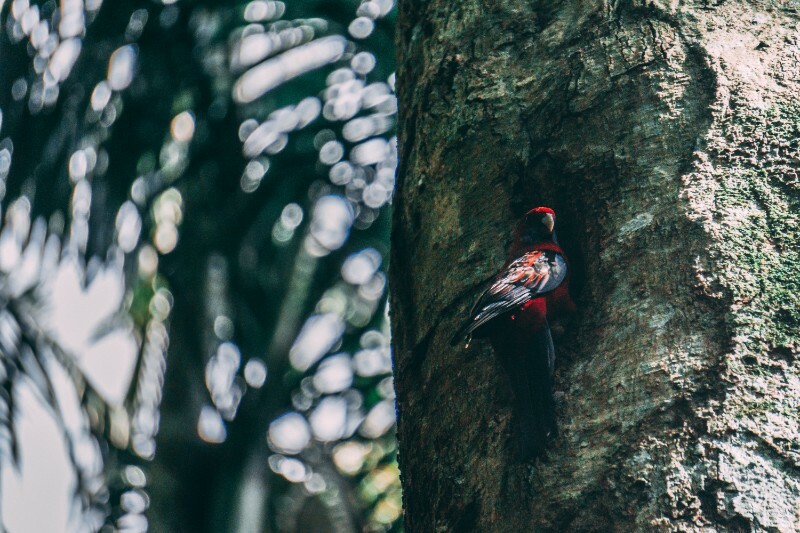 As you walk, look carefully in the tree canopy above you’ll be able to spot all kinds of native birds and even flying-fox bats, nesting in the towering trees. If you’re really lucky, you might even spot a Platypus in the creek as you follow it’s path through the jungle. One part of the lower track is prone to flooding after heavy rain but don’t worry, diversions are sign posted all year round making it accessible in every season. No swimming. Platypus and glow worms live in/near the waters! Help keep them safe and stay out of the water. What goes down has to come back up again… there are a few sets of stairs on your way back to the car park. WATER! There are no water refills along this track so be smart, bring plenty! 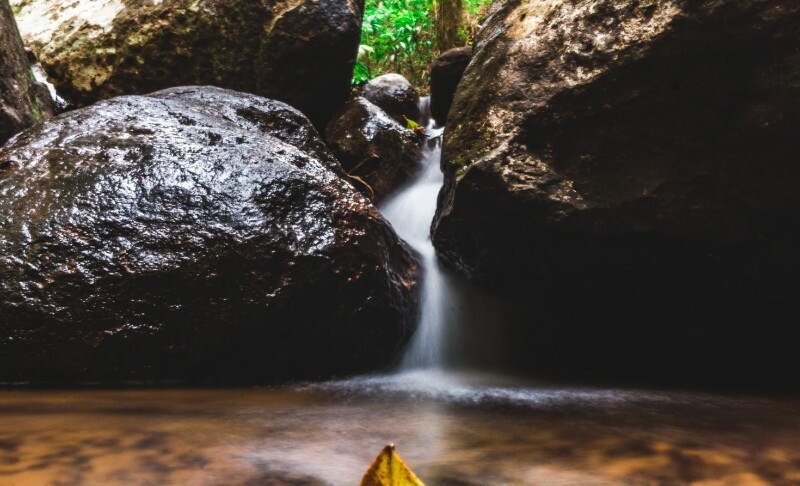 A slow shutter speed capture of a mini waterfall formed on two boulders. Witches Falls track: 3.1km loop, 1 hour walk time, Grade 3, Witches Chase track: 2.7km return, grade 4. Toilets, BBQ and picnic space at the main car park. Day two bought us to Mount Tamborine’s Witches Falls and you guessed it, The Witches Falls track was the most mystic route of all the Mount Tamborine walking tracks we did while we were there. Completely different to the previous, it’s graded 4 and if you carry on to the ‘witches chase’ track through to the road you’ll come across some serious boulder hopping a little too close to the cliff edge for my liking. Then again, I was in my flip-flops… not the best shoes for a G4 hike. We started this ‘loop’ hike anti-clockwise at the main car park on Hartley Road, by the Rotary Lookout and ended up taking the ‘long loop’ via Beacon Road and through North Tamborine Village; not the official loop that doubles back on its self at the end of Witches Chase, we just didn’t fancy repeating the boulder hopping. Anyway, our route started with a hefty zig zag down the side of the mountain on a slim but steady path, the views were amazing from the top and slowly began to change into the dark dense jungle. The Witches Falls track seems a path less travelled, meaning it isn’t which direction it’s taking you at times, especially when it has you climbing up over rocks and overhanging roots. It’s a fun track though. We put our camera away for most of this day because while the track isn’t always physically demanding, she’s a good game for the mind. The trees seem even taller here, with vines sprawling out in all directions and roots poking up out of nowhere. Even the birds here have you on your toes; dropping big seeds and shells from high above you, making sure you don’t stay in one place too long. 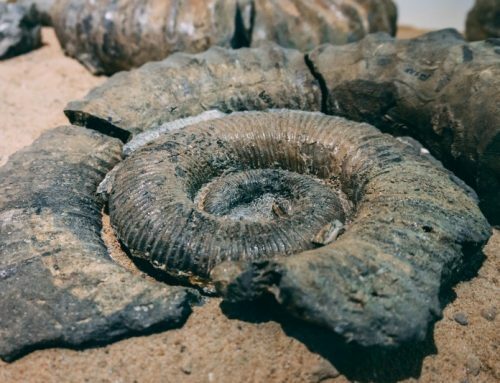 Wanting to explore mor of Brisbane? 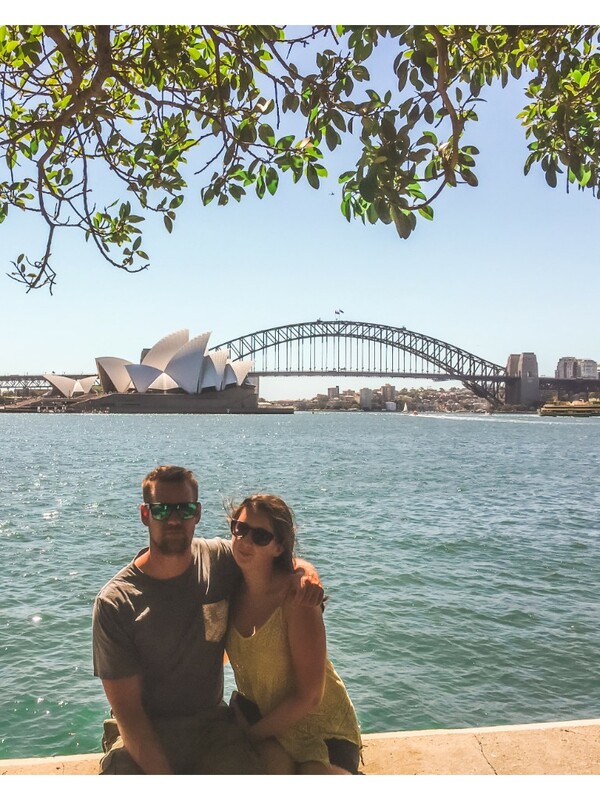 Here’s 15 free things to do in the city!! Look out for the birds throwing nut shells down on you! 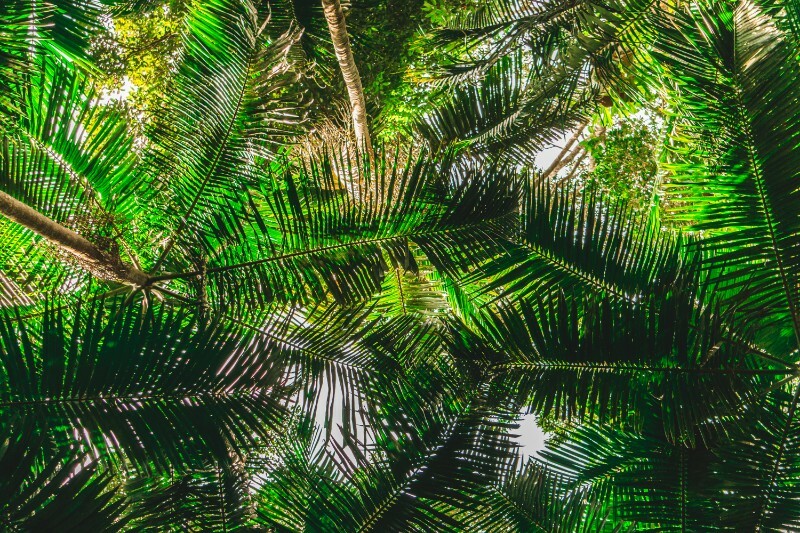 There’s a myth that goes along with this jungle section, one that gives meaning to the name. ‘Witches Falls’ was a nickname given to it by children of the villages that surround it, when they walked the woods in the late evening they felt as though witches were watching them. Being there by ourselves, we completely understood the thought behind that, big leaves hang from branches like withes capes snagged by big fingers and the Kookaburra laugh in the distance echoes like the cackle of a menacing witch. After about 40 minutes we reached the Witches Falls viewing platform, once again the waterfall was just a trickle but the vast view over the valley and farmland made up for it. There’s a sign that explains the tale behind the name in a little more depth and then you have two choices – head back on the loop track heading to the car park or explore the Witches Chase. What we didn’t realise was that the Witches Chase track would step it up a notch, sure we could see the track a bit better… when it didn’t involve boulder hopping but they definitely weren’t lying when they graded it 4. It’s all part of the fun for us though and as we neared the end we decided to head back through town instead of repeating the track to get back to the loop. So, unfortunately, what lay waiting for you on the final quarter of the Witches Falls track I don’t know, but I’m sure it’s just as magical as the first part! If you decide to follow our footsteps and head through town, there are plenty of little fresh veg stalls along the road side. $3 Avo or Banana’s make for a great energy booster after this tricky walking track. Comfy shoes! While I did manage it in flops… I wouldn’t recommend it. Least of all because I’m 98% sure we passed a few snakes on a couple of occasions… best to have your toesies covered eh! Jacket. Sure it’s 100’C when you start the track at the top of the mountain, but as you work your way down it gets a bit chilly. Maybe I’m just a wuss, but I needed my sleeves once we hit the middle. 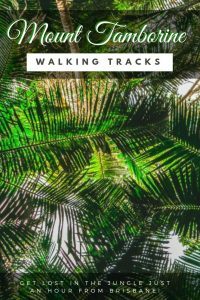 Ok so these aren’t all the walking tracks in Mount Tamborine, we wish we’d stayed maybe just one more day to explore the remaining 3 sections but there’s always next time! 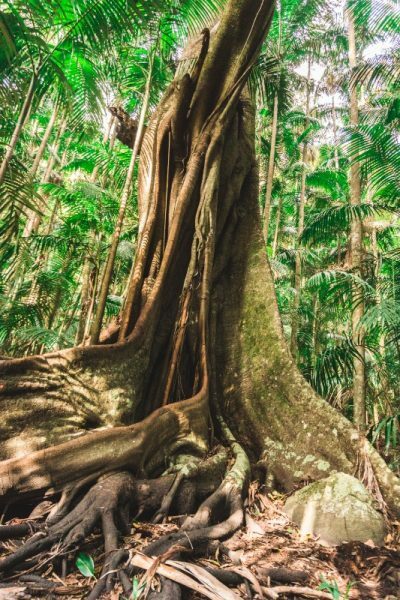 Have you done any of the Mount Tamborine National Park trails? Let us know in the comments! Coming soon – A tale of Glow Worms and how to find them!! Other posts we know you’ll love!